It’s been almost two months since the public release of Manfred. Since then, we have survived the holidays and have taken our first steps and, as in almost all newborn companies, some have been quite clumsy. Probably, our biggest mistake has been to underestimate the time needed to study the profile of a candidate … and we have received around 130. But that should not be a problem if we had managed expectations well. Unfortunately, our second big mistake was not to communicate quickly and transparently to all stakeholders (companies and candidates) our bandwidth and potential deadlines. We beg your pardon. Finally, we have read, tagged and documented all the profiles received from July to September. 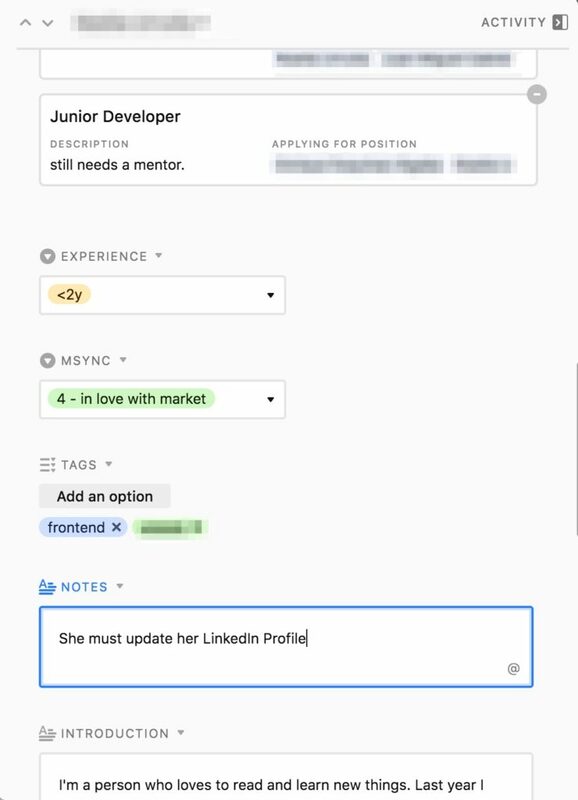 We have used Airtable to store all the data and metadata (notes, comments, updates) and it’s working pretty well to manage the fuzzy logic queries needed to link both people represented by Manfred and job offers received. We store up to 19 parameters in the profile of each candidate (and that’s just the beginning as you will read later). Airtable is also an awesome tool to visualize these profiles, including pictures or other media like visual portfolios. 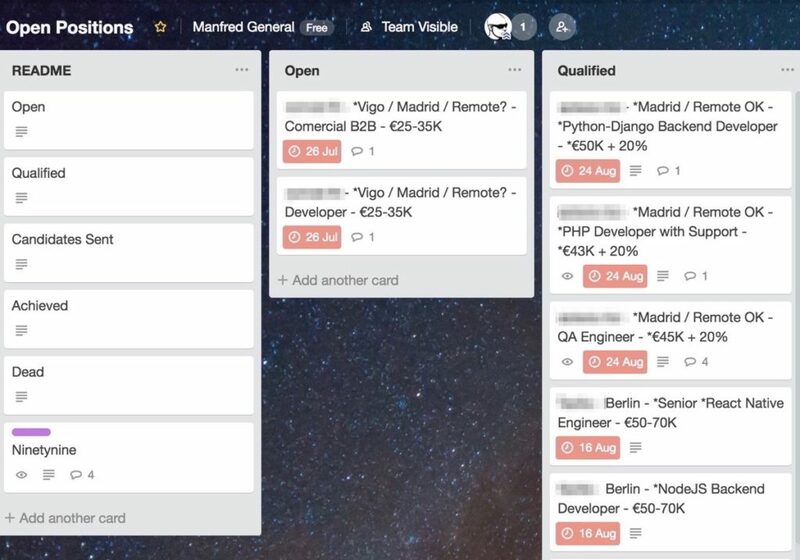 Next 2 weeks we want to meet some candidates to become Manfredites and build the first version of our Extended CV, designed from the scratch with all the feedback collected from both candidates and companies to provide/receive as much valuable info as possible before a job interview.